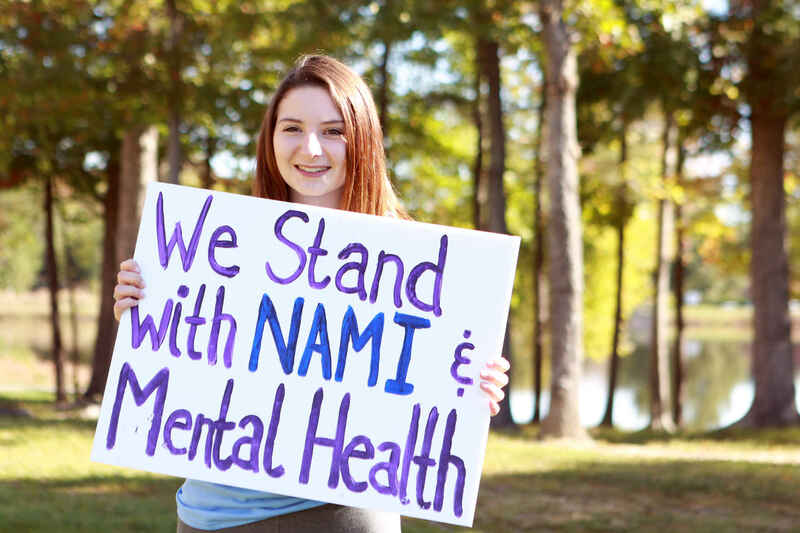 Give to NAMI Texas and help us bring hope and recovery through support, education, and advocacy to thousands of Texans living with mental illness and their families. How does your donation help? Here are a few ways we use your donation to NAMI Texas! $25 - Provides an hour of assistance to local volunteers wanting to start a NAMI Texas Affiliate in their community, or provides materials to be distributed at community health events. $35 - Provides resources, training, and technical support to local NAMI Affiliates, helping them provide help and hope in communities across Texas. $50 - Helps provide instructors to take the NAMI Family and Friends seminar to communities that are currently without NAMI Affiliates. $100 - Provides training and support to help people living with mental illness, friends and family transform their passion and lived experiences into skillful grassroots advocacy. $500 - Sponsors an instructor to train volunteers to offer classes, support groups, and other NAMI signature programs like Basics, Family-to-Family, In Our Own Voice, Homefront, and many more in local communities. You are doing a much needed work! Thank you very much. Faith, Hope and each other is what we lean on. Looking forward to a broader horizon for the sake of our mentally ill loved ones. Thank you to the NAMI Staff team for all you do!